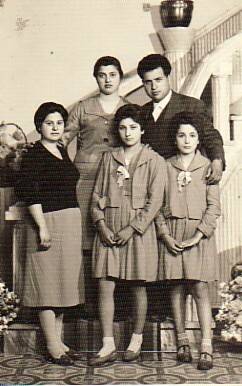 Above: My brother, Efstratios, with our cousins, Katina, Despina, Ourania and Elpida. 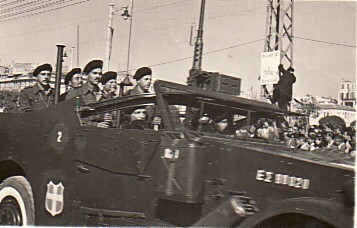 Above Right: In the National Service; I am first from the right. 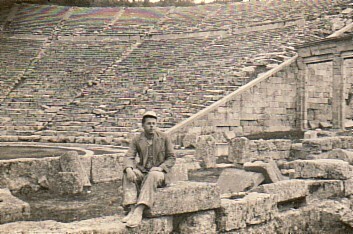 Above: Visiting Epidauros. At the time, I was working in the construction industry and we were rendering a hotel in the area. 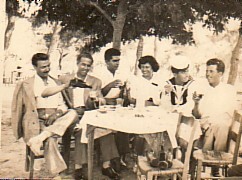 Above Right: With friends in Moschato, Athens. L-R: two unknowns, Dimitrios and Adamandia, Nikolaos and me. 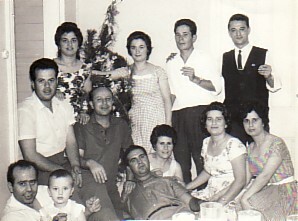 Above: With my cousin, Katina Souflia (we are first and second from left in the back row) and friends from Agrinio. At the time, we were all renting a house in Tempe, Sydney. 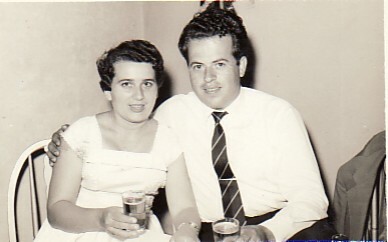 Above Right: With my wife, Voula. 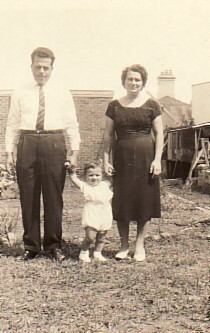 Above: With my wife, Voula, and our son, Panagiotis. 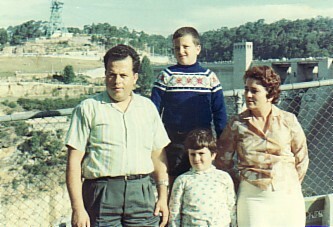 Above Right: With my wife, Voula, and our children, Panagiotis and Maria. 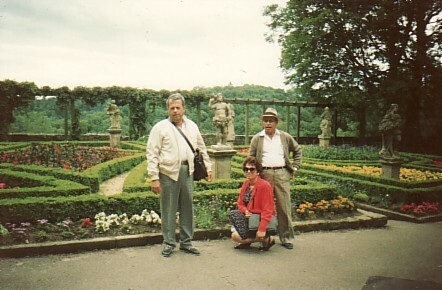 Above: Visiting Monaco, Europe, 1992. With my cousin, Katina and her husband, Alexandros. My wife, Voula, is taking the photograph. 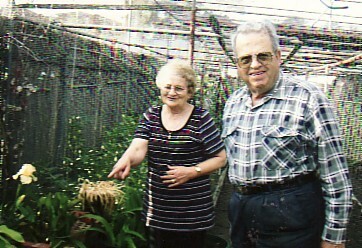 Above Right: With my wife, Voula, in our garden.